"Forsyth and our families are grateful for the chance to share what our students are doing with the greater St. Louis community." Indeed, last year's (2017/18) year-long Grade 2 St. Louis study and photography project has generated some well-deserved buzz! The wildly successful project, new to Forsyth last year, was invited to exhibit at The Sheldon Art Galleries as part of their 20th Anniversary season. 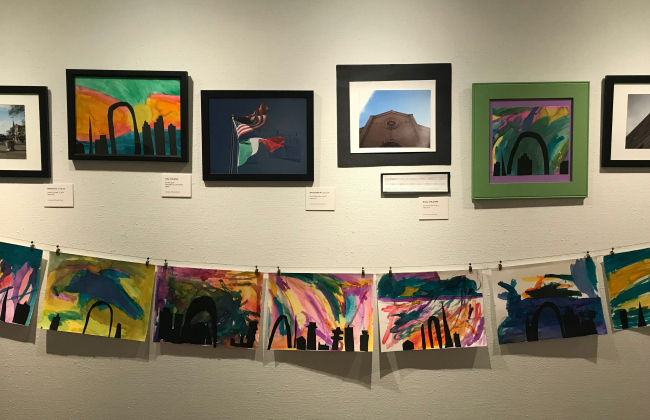 On Friday, October 5, 2018, St. Louis Through the Lens of a Child: Photographs by Students of Forsyth School opened in the AT&T Gallery of Children's Art, one of six new exhibits reflecting on the immigrant experience. The exhibit will be on view and open to the public through February 2, 2019. 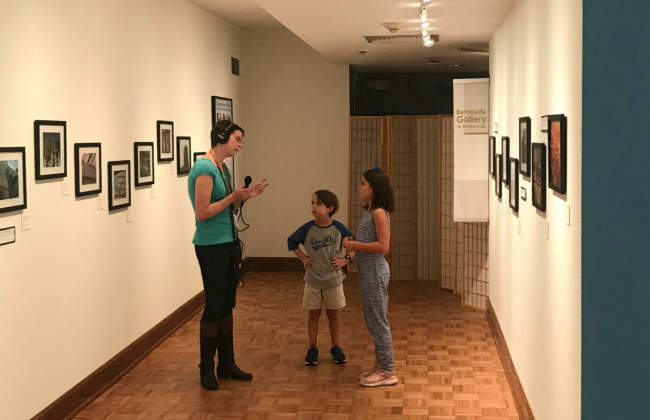 Just prior to the exhibit opening, St. Louis Public Radio spoke with Luisa and Oliver Finn, two Forsyth students (now in Grade 3) who participated in last year's project, as they saw the exhibit—including their own artworks and photographs—for the very first time. The interview was conducted as part of a larger segment for St. Louis On the Air with host Don Marsh about how local artists and arts organizations "are deepening St. Louisans' understanding of social issues in creative ways." "When kids see that neighborhoods do not all look like theirs and learn that each one has a distinct history and culture, they become more thoughtful about the environments in which they live. We hope it sparks interest and leads to active, engaged citizenship." 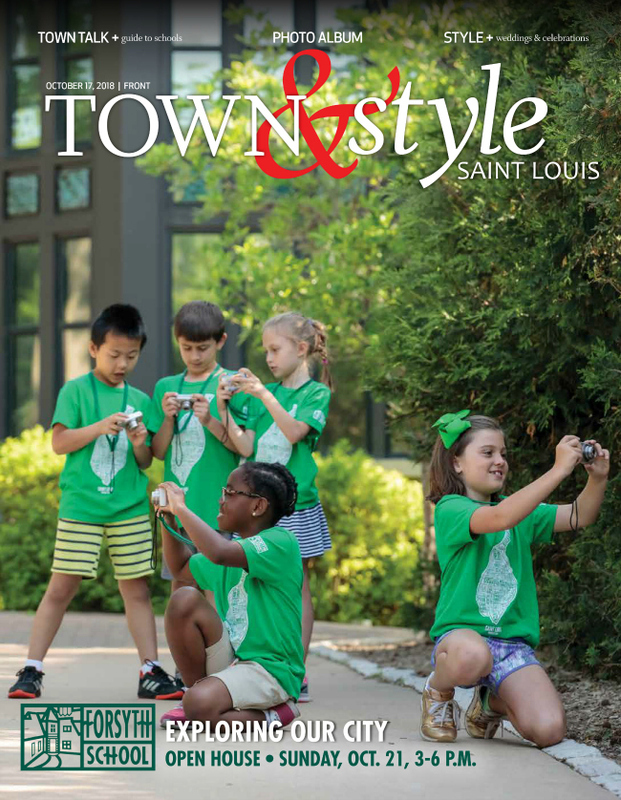 Special thanks to Stephanie Wallace, Whitney Curtis (Town & Style photos) and David McLeod Lewis (Exhibition Opening photos), The Sheldon Concert Hall & Art Galleries, St. Louis Public Radio, and Town & Style.